In what is now known as the “Richard Windsor” lawsuit, named after the false identity I discovered outgoing administrator Lisa Jackson had created for herself, the Environmental Protection Agency hand-delivered a CD to me a few minutes before 5 PM on Monday, their deadline under a court order to produce “approximately 3,000” emails to or from Jackson’s secondary or “alias” email account(s). As the punchline goes, that’s when the fight started. The CD represented EPA’s effort to tap-dance deeper into the calendar on this emerging scandal involving a false identity assumed for federal record-keeping purposes. The CD ultimately only contained approximately 2,000 emails, sorted to provide chaff: clippings from left-leaning newspapers and blogs, and Jackson’s own Google Alerts about herself, apparently seeking to see the world beyond the courtier-provided bubble. The deficient production did not stop EPA from apparently, in the legal term, “stepping in it”. On its face, this secrecy is absurd. You can declare, for example, the CIA director’s work account exempt from FOIA, but no taxpayer-funded account can be treated as a personal account. Adding to the farce, I have examples of EPA previously hiding a Jackson name–real or imagined, we don’t know–on her email’s “From” field but citing a completely different excuse. We’re supposed to believe this name was a state secret due to a FOIA exemption allowing the withholding of information relating to the internal personnel rules and practices of an agency, the disclosure of which would risk circumvention of a legal requirement? So, EPA is obfuscating, treating statutory exemptions as excuses–despite the Attorney General swearing up and down Team Obama wouldn’t do such a thing–unable even to get its excuses straight or agree among its own people why they should get away with hiding names on Lisa Jackson’s email account(s). But put that aside for the moment. This appears to be demonstrably untrue. EPA’s spin is that the Windsor account is so she could correspond internally, avoiding her public account which, being public, is too unwieldy. We have copies of emails from Jackson to staff that are from her, not Richard Windsor. Further, staff I have spoken to insist that all of their correspondence came from her name or “From the Administrator”, not from Richard Windsor. Also, the emails EPA produced on Monday resemble the mail we have from her, or From the Administrator. So EPA seems to have decided to not search the Windsor account(s). In effect, after admitting that nom de plume was indeed Jackson’s, they are pretending the account doesn’t exist. To be fair, EPA has told two reporters (who I know) that they searched Jackson’s “Richard Windsor” account… but only on condition of anonymity. They want the reporters to write that; they just refuse to go on record officially associating any person’s name with that claim. That of course would remove plausible deniability, and this is, after all, before a court where the truth is expected ultimately to come out. Now things get really dicey for EPA. Copies of several Richard Windsor emails are out there, produced under FOIA requests to at least two different parties, affirming again that it is only the name and not an address that appears, but also that EPA does not in fact deem that name to be something that must be withheld to protect privacy. EPA, in response to this embarrassing fact, told one veteran Washington journalist that these have all slipped out by mistake. Oddly, this failure to redact even occurred in emails otherwise thoroughly redacted. Even when Windsor’s email is signed ‘Lisa‘. The obvious reason is that EPA’s FOIA officers didn’t know that Richard Windsor was Lisa Jackson. Those pesky disclosure laws, they present a problem. You might recall EPA’s insistence upon revelation of this false identity, created with only one inescapably foreseeable outcome–subverting record-keeping and disclosure laws–that they’ve always made sure all of Jackson’s accounts were searched when she was the subject of FOIA requests. That’s absurd, and it now seems that EPA’s FOIA officers likely didn’t know. A reasonable supposition from this is that the EPA administrator (in the most transparent administration, ever) arranged for a separate procedure in which a trusted political aide handled requests for her emails. This avoids letting the cat out of the bag about her false identity in federal records. And it maintains an element of control over “her” record production, when the issue should be nothing but the law’s requirements. Show us you did in fact search and produce from “Richard Windsor’s” account(s)? You say it’s so but won’t go on record; surely it’s true, so prove it. 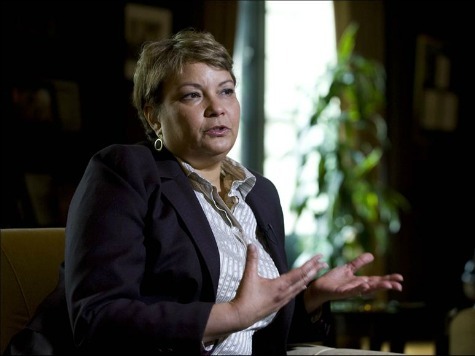 State who was tasked with handling requests for Lisa Jackson’s emails; was it a political ally? EPA’s unlawful and other curious behavior has begged direct questions. The Agency owes us direct answers. And it is time for the Obama administration to stop forcing taxpayers to sue to get the truth.